53percenter's Blog – Page 640 – Conservatives welcome. Libs & RINOs go away. It's all of you destroying the society and conservatives must no longer appease you! 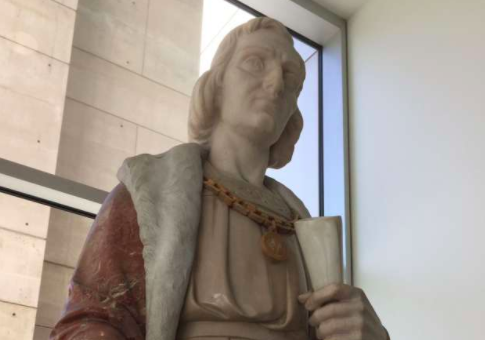 The San Jose, Calif. City Council voted Tuesday night to remove a statue of explorer Christopher Columbus from the City Hall lobby after hours of contentious debate. Tuesday night’s debate revolved heavily around city officials floating suggestions about where the statue should be moved since it has been a prominent fixture at San Jose’s City Hall since the 1950’s, according to local CBS affiliate KPIX 5. One official suggested the statue of the Italian explorer should be placed in the San Jose Mineta Airport, but others thought that would be too controversial. None of the local museums reportedly wanted the statue, so the council members gave the local Italian-American community leaders six weeks to find an appropriate location. After that time, the statue will be placed in storage. “Columbus never landed in the Alviso Marina. So there is no policy basis for keeping a statue of somebody who was not from San Jose in City Hall,” said San Jose Mayor Sam Liccardo (D.). Italian-American groups gave the marble statue, hand carved in Italy, as a gift to the city of San Jose. While there are some people who see Columbus as a symbol of “slavery” and “genocide,” and have therefore sought to remove symbols of the explorer across the country, some members of Italian-American groups in San Jose want the statue to stay. The statue has been vandalized and put back together twice. But statue backers expected more support from Liccardo. “I’m really disappointed in him, he’s supposed to be our leader in the Italian American community,” said Zerbo. The CBS affiliate noted the debate was not the first time a statue has caused controversy in the city. A statue of former San Jose major Thomas Fallon raising the American flag over the city during the war with Mexico was stored for years because it offended Mexican Americans. MSNBC was not on board with President Donald Trump’s targeting of MS-13 in his State of the Union address Tuesday night. Dismissed by Joy Reid as a group only people who watch Fox News has ever heard of, MS-13 is a violent, trans-national gang which has more than 10,000 members across the U.S., according to government estimations. "Tonight, I am calling on the Congress to finally close the deadly loopholes that have allowed MS-13 and other criminal gangs to break into our country," Trump said. The Justice Department has made targeting MS-13 members a priority during the Trump administration, although critics say Trump’s invoking of the gang serves to bolster its recruiting. Eugene Robinson said it was a "bit much," and Chris Matthews called it "ugly" and "nasty," with others saying it was discussed by Trump to draw a parallel between "Dreamers" and gangsters. The post MSNBC Rips Trump’s Invocation of MS-13 at State of the Union appeared first on Washington Free Beacon. Rep. Maxine Waters (D-Calif.) wants a parental advisory to appear on screen whenever President Donald Trump speaks on television. “Whenever he appears on TV, there should be a disclaimer that says, ‘This may not be acceptable for children,’” Waters said Wednesday on BET following Trump’s State of the Union address. What do TV guidelines include? Television parental advisories are typically issued for programs that include crude, indecent language, extreme violence, and explicit sexual activity. “Trump often works to convince dissatisfied elements in our society that all of their problems are caused by people of color,” she said. Waters said examples include Trump’s comments about the protests that turned violent in Charlottesville, Virginia, in August, along with his alleged “s**thole countries” comments about African nations and Haiti earlier this month. What did other Democrats say? Waters was not the only Democrat to level harsh criticism against the Trump administration. Prior to Trump’s speech, other Democrats bemoaned what they call his stance on Muslims, transgender people, and the working class. Kennedy said Trump and Republicans have given average Americans “one false choice after another,” while the wealthiest people become the biggest winners. Other key issues for Democrats are a minimum wage, paid leave for employees and affordable child care, Kennedy said. Rep. Jim Himes (D-Conn.) said that most economic factors have been strong “for eight years,” although few have enjoyed the benefits. Hostess Brands Inc., which has long fed America’s sweet tooth through its production of Twinkies, Ho-Hos, and Ding-Dongs, announced Wednesday that corporate and hourly employees will each receive $1,250 in bonuses because of savings being generated by the Republican tax reform initiative. The Kansas City, Mo.-based company plans to give its 1036 employees one-time bonuses totally $1,250: $750 in cash and another $500 in 401(k) contributions. 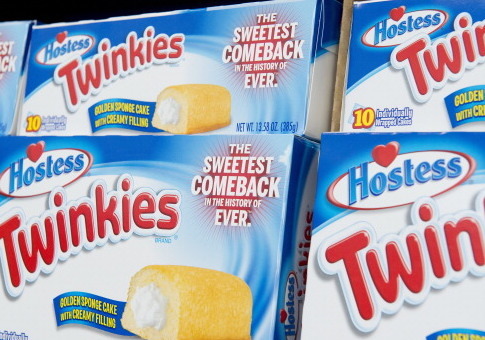 Hostess is also sweetening the deal by giving its employees a year worth of free products. Representatives from each Hostess bakery will choose a different baked good weekly and employees will receive a multipack of that item every week of the year. Hostess directly attributed its ability to reward its employees to the Tax Cuts and Jobs Act, which was passed in December of 2017 by congressional Republicans and subsequently sighed into law by President Donald Trump. “The recent tax reform changes have given us the opportunity to review our benefit and compensation structure with an eye toward further investing in our workforce – our extraordinary team of employees who have and continue to help make Hostess so successful. As we have done in the past, the company’s management and board take great pleasure in sharing the company’s success with our employees,” said C. Dean Metropoulos, the company’s executive chairman, in a released statement. Did you see how the Democrats, especially Pelosi and Schumer, acted while the President was giving his positive message for America? I did, and they reminded me of kids when they are too young to know better. Once, my cousin, who was around six at the time, had just had an operation, and he was playing his role of recovering patient to the hilt. He liked being taken care of and coddled. One morning his mother served him bacon and eggs, but he refused to eat them. His mother suggested that his breakfast would be good for him and help him get well faster. However, he was adamant. Whereupon, his Mother told him that she would give his breakfast to his sister. At that he got really angry declaring that he did not intend to eat his breakfast and that he did not want his sister to eat it either. One day our boys were playing basketball in front of our house. Unexpectedly, a disagreement arose, followed by silence, and later our son slamming the door as he stormed into the house. When asked what had happened, he said that he and the others had insisted that Bobby follow the rules. Well Bobby was not about to follow the rules. He wanted to play by his rules. When they refused, he played his ace in the hole. It was his basketball, so he picked up his ball and went home. In his mind the other players refused to compromise. Barb loved hanging out with her friends from junior high school. Sometimes we thought that she spent more time with them than she did at home. However, her mother and I did not say anything. The experts insist that young people should be given their freedom. One evening at the dinner table Barb told us that one of her friends was having a sleepover that weekend. This would be her first sleepover ever. She was so excited. However, her mother and I did not know the girl’s family, and she was in her first year of junior high. After exchanging meaningful glances, we decided that she should wait until another more appropriate occasion, which seemed reasonable to us. But it was neither reasonable nor acceptable to Barb. She would not listen. She was not able to accept that decision. It was her life, and we were interfering with her plans to go to her friend’s sleepover. She fumed, and she complained. Then, she glared. First, she glared at me; then she glared at my wife. Finally, in the most contemptible voice she could muster she told us with venom dripping from her voice how much she hated us. Little Jimmy had the strangest look on his face. I had never seen him look like that before. I asked my wife what was wrong with Jimmy. Is he sick? He has the strangest look on his face. Yes, I watched the Democrats. They were so miserable. They are out of power, which cast a pale over every countenance in the room. They are not making the rules now. They cannot play the game the way they want to play the game, and they are upset. What are they going to do? They cannot even take the ball and go home because now someone else has the ball. However, the game is going on without them, and that they do not like. Yes, I watched the Democrats. They are angry. They are furious. They have made it clear that they are not going to cooperate, but that does not seem to be having the desired effect. The old saying is that those who cannot lead and will not follow invariably obstruct progress. 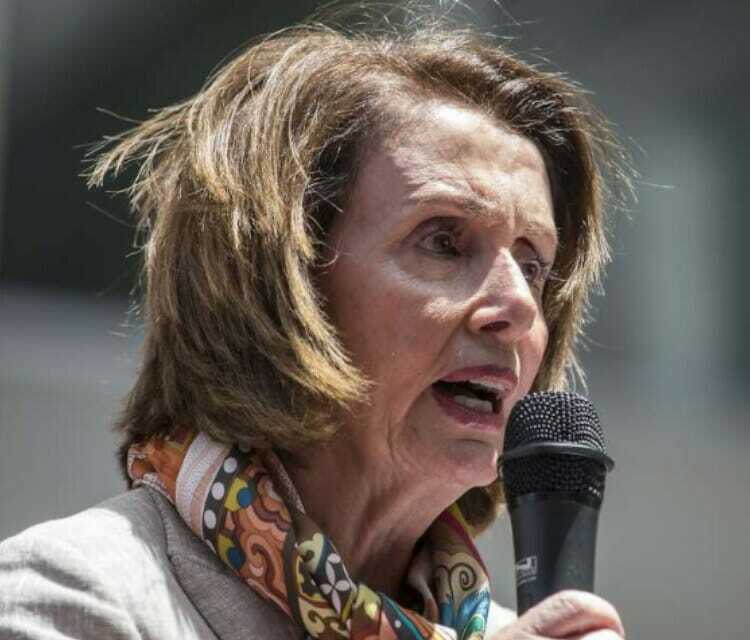 The Democrats have committed themselves to obstruction, but in spite of their best efforts, the government is proceeding without them and doing very well no thanks to them. Yes, I watched the Democrats. They had that same look on their face that little Jimmy had that day. They must have been most miserable. It was no surprise that they left the congressional chambers so precipitously. They probably had to go! Yes, I watched the Democrats. Their behavior during the State of the Union positive message reminded me so much of children. At first, I laughed. They were so funny, and so infantile. However, the more I saw of their behavior the sadder I became. It soon dawned on me that these are adults. They are not children. Yet, they are acting like children. That is sad. Then, as the State of the Union address continued, another thought overwhelmed the comedy and the sadness. What they are doing is frightening, frightening because they are also the representatives of the people, and they have been given the privilege and the responsibility of protecting and supporting a form of government that will give our citizens the freedom and the opportunity to live life to the best of their ability. Their obligation is to protect and preserve our republic for the benefit of the citizens of our great country. Let’s hope that at some point in the near future that the Democrats will be able to grow up, to put their country before their party, and to participate in our government with the express purpose of making America the land of liberty and opportunity. New Jersey Senator Cory Booker seems to spend every waking moment either admiring his Presidential look in a mirror, or trying to move left of any of his opponents for the 2020 nomination. After the State of the Union Address Tuesday, he demonstrated a profound ignorance of the Constitution. The Stanford and Yale Law School educated Rhodes Scholar, naturally raced to the MSNBC studios after the address to express his profound displeasure. Looking for a full recognition of their citizenship rights? What rights to citizenship do ten million illegal immigrants possess — whether in the dreamer category, or any other- their parents, those who overstayed visas, whatever the explanation. The answer is they have no rights to citizenship, now or in the future, unless the Congress passes a law and the President signs it to extend an amnesty to allow these people to establish a legal status in the country, and at some point, a path to citizenship. Booker slips up because at this point his view — supporting complete amnesty and citizenship rights, is what the Democrats are after. They want millions of new Democratic voters, more than they share any concerns about people in the shadows. Their failure to honor the two black families of girls murdered by illegals at President Trump’s SOTU may well be a turning point with some visible results in November. In a stunning admission to CNN‘s Jake Tapper Wednesday, former Director of National Intelligence James Clapper admitted the Steele dossier was used for an extension of FISA surveillance. 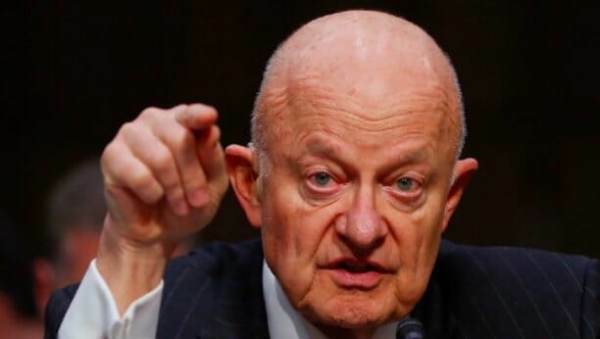 As much as he is a stuttering doofus, and therein showcases his political value for the former administration; and to the extent that Clapper has previously stated there was no attempt by the DOJ/FBI to gain a FISA authorized approval for surveillance on any Trump campaign officials: “none that I’m aware of“; …it is always valuable to listen to Clapper because he has a tendency to, well, to let slip stuff that makes the black hats cringe. Cue the audio visual “slippage.” Inside tonight’s interview by Jake Tapper, former DNI James Clapper now unwittingly refutes his previous assertion of “no Trump FISA warrant“, and simultaneously lets it slip out that the Clinton/Steele dossier was not used in gaining origination authority for FISA-702 surveillance, but rather for an “extension” of a previous application for FISA-702 surveillance. The dossier contains explosive, but unverified, opposition research that alleges intel ties between Russia and Trump and also claims Russia holds blackmail material over Trump. In what was the second major “leak,” to come from the FISA abuse memo, a new report reveals Deputy Attorney General Rod Rosenstein signed off on an application to extend surveillance of Trump campaign official Carter Page. The Daily Beast recently reported former FBI Director James Comey, bureau Deputy Director Andrew McCabe and Deputy Attorney General Rod Rosenstein are officially named in the “shocking” FISA abuse memo. The post STUNNING ADMISSION: James Clapper Admits Steele Dossier Was Used For FISA Surveillance “Extension” (VIDEO) appeared first on The Gateway Pundit.